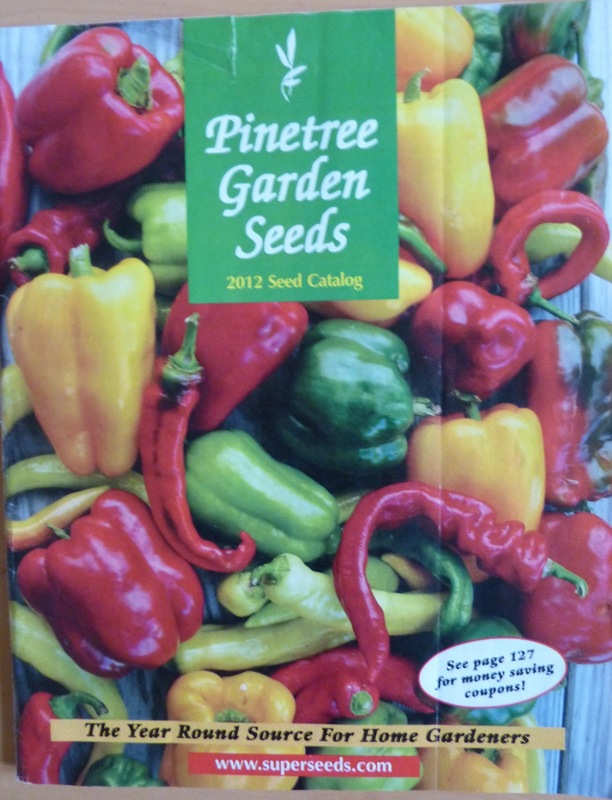 I order more seeds from Pinetree than from any other catalog, which is the bargain-hunter, practical me coming through. Where else can you still buy a packet of seeds for under a dollar? I qualify as a long-time customer, having received the catalog back when it was pretty much colorless, and then later getting onto their website, still barebones and IE-only when everyone else was mounting more up-to-date technology. Both the catalog and the website have improved since then, though content still wins out over appearance. Pinetree caters to small-scale home gardeners, the idea being that most of us don’t need a packet of 50 tomato seeds, 25 will do fine and then you’re not paying for seeds you will never use. With the exception of some fancy hybrids and rare seeds, the prices are $2.00 or less per packet. Seed counts are provided, so compare. In most cases, you’re paying the same or much less per seed than with other catalogs and comparable prices to buying off a seed rack; there are exceptions. Tomato seeds as compared before: Celebrity, 15 seeds for $1.75; Brandywine, 25 for $1.35. Black-Seeded Simpson lettuce, 500 seeds for 95 cents! Descriptions are homey and personal; they’ve tried all these seeds and it shows. You are seldom going to find the latest fashions in vegetables here, but you’ll get a wide selection to choose from, including hybrids, open-pollinated and heirlooms. They also sell herbs, flowers, plants, bulbs, etc., along with a whole lot of books (some discounted steeply) and supplies for gardening, kitchen use and crafts. 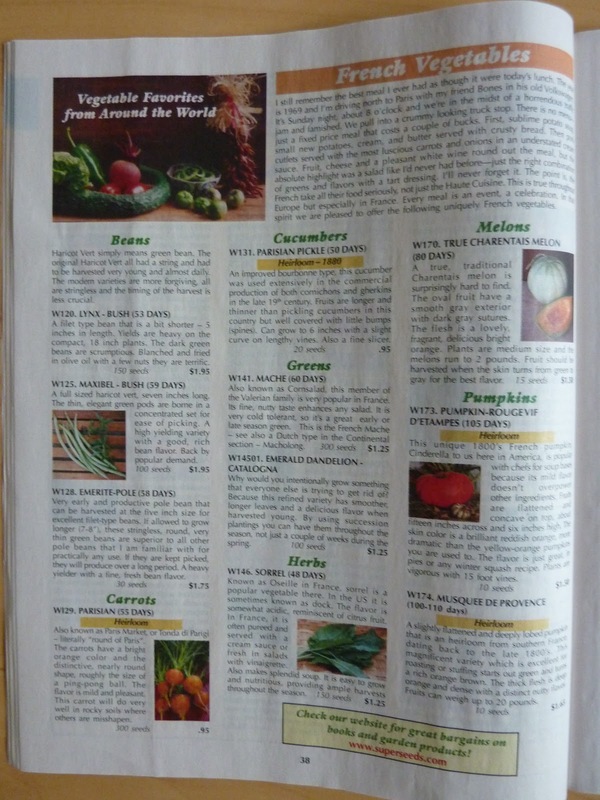 Finding things in the catalog can be a little challenging, due to an odd organizational system in which vegetables are listed by type and then you also get a section of international vegetables by region and then a section of container vegetables. There’s some cross-referencing, but it’s still confusing – for example, to find Bull’s Blood Beet I had to look under Dyeing Herbs. (I like to eat it, thank you.) Searching on the website solves this problem. This is also not a catalog where you get the Latin names of plants provided (a personal preference not shared by everyone, I realize). But if you’re looking to not spend a lot of money while still ending up with most of the seeds you wanted, Pinetree is an excellent first stop. And how do their seeds compare in quality to local markets? Does your garden product well or better with these seeds? I've never done a side-by-side comparison, but I haven't noticed any difference in quality. Pinetree is my #1 seed source. I've been using them for years and love the huge selection, small packets, and reasonable prices. The only thing I keep in mind is that they are based in Maine, and don't have the same point of view on the heat and humidity issues that we have in Maryland. That is a very good thing to keep in mind. For example, just “bolt-resistant” lettuce isn't enough as a descriptor for me – has to be VERY bolt-resistant. I like them too and order regularly from them – the thrifty in me for one thing, and the fact that the catalog comes before Thanksgiving. Yes, it seems to come earlier every year. I'm not ready to look until January! I like Pinetree too and have used them for over a decade. As noted, they are from Maine and carry seeds more acclimated to the north. However, it’s hard to beat Meyers right here in Baltimore; good prices and a reasonable selection that’s geared for the mid-Atlantic.